An upper ridge still dominates most of Europe while a deep trough from the N Atlantic pushes into Scandinavia with an associated intense surface low pushed into Norway. 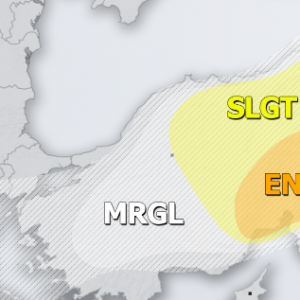 An upper low moves across the E Black Sea and brings a cold front towards the Middle East. Upper lows are also located over Morocco and Tunisia. 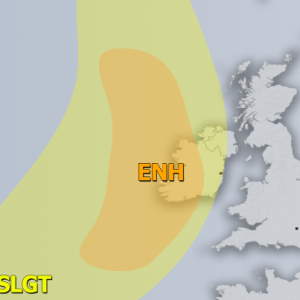 ENH risk has been issued for E Iceland across the Norwegian sea into W Norway with threat for severe to extremely severe winds, locally reaching above 120 km/h. 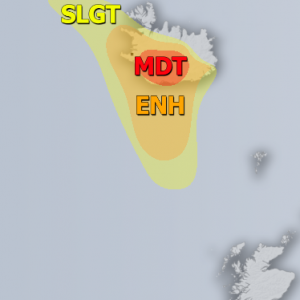 SLGT risk has been issued for areas surrounding the ENH risk including south, central and north Iceland, Faroe islands, N Scotland, parts of Norway and NW Sweden with threat for severe winds, locally in excess of 100 km/h. 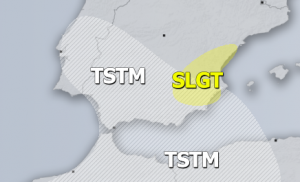 MRGL risk has been issued for NW Morocco into the extreme SW Spain with isolated threat for severe storms, capable of producing severe winds and heavy rainfall. 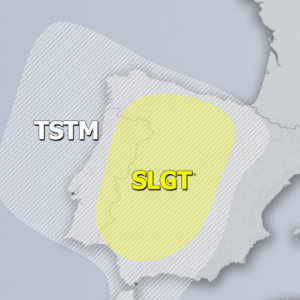 TSTM risk areas have been place where convective storms are most likely to occur.